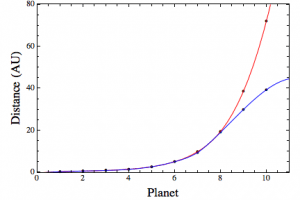 Does Bode's Law work for exoplanets? One of the things scientists sometimes do is consider a wild idea to see if it might work. These “what if” scenarios often take a physical principle beyond the limits of known physics to explore possible consequences, such as ideas about wormholes or time travel. Another approach is to take a pattern observed in one situation and try applying it to others. There’s no underlying physics to presume it might be true, but it might prove useful. These approaches are sometimes referred to as throwing spaghetti on the wall to see what sticks. Usually you’re left with a theoretical mess on the floor, but every now and then something seems to stick. Such is the case with a pattern known as the Titius-Bode relation (or Bode’s law). The Titius-Bode relation for the solar system. 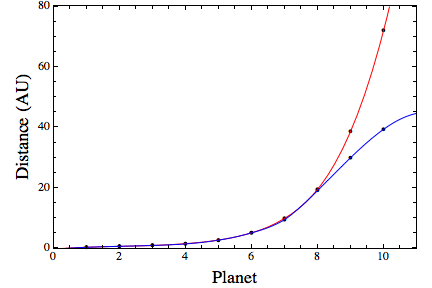 This relation was first noted in the 1700s, and stated that the distance of planets followed a pattern of d = 4 + n, where n was 3, 6, 12, 24, etc.If you let the Earth’s distance be 10, then Bode’s law matched the distances of the (then) known planets to within a couple percent, including Ceres. Like Kepler’s laws, it was originally stated as an observed pattern, with no clear reason as to why it worked. But while Kepler’s laws were later shown to be a consequence of Newton’s laws of motion and gravity, the Titius-Bode relation remained and interesting pattern. When Neptune was discovered, and it was found that it didn’t match the relation, it fell out of style. Like many ideas that “kind of” work, the Titius-Bode relation has become popular among some alternative physics fans, who try to derive some meaning out of the pattern. 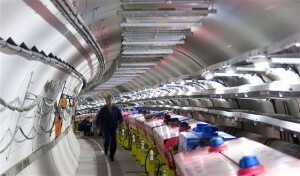 In mainstream physics the relation is mainly seen as interesting historical numerology. The modified TB-relation “works” for some systems. But with the discovery of exoplanetary systems, the Titius-Bode relation has inspired some theoretical astronomers to throw it against the wall to see if it sticks, and in some ways it seems to. Take, for example, a recent paper on the idea published in MNRAS. In this work the team noted that the core idea of the TB-relation was the geometric progression in planetary distances. This gives a similar relation in the periods of their orbits (which is an aspect of exoplanets that is more easily measured). So they proposed a modified TB-relation with a geometric progression that could be fit to different planetary scales. 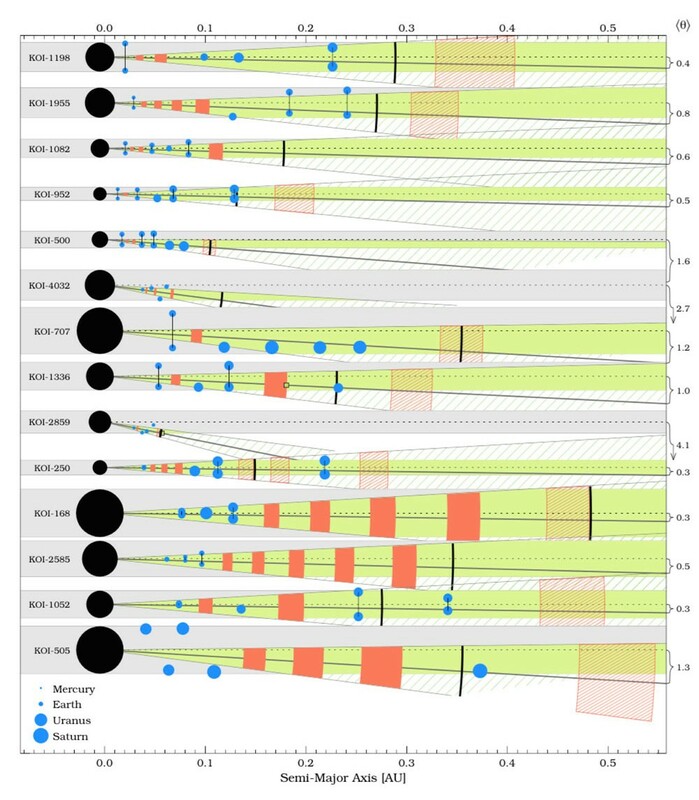 Looking at 151 exoplanetary systems with at least three planets, they then tried to fit their relation them. What they found was that 124 of the systems seemed to fit the pattern reasonably well. From this they used the relation to predict 98 planets in those systems with a reasonable chance of being detected by the Kepler satellite. 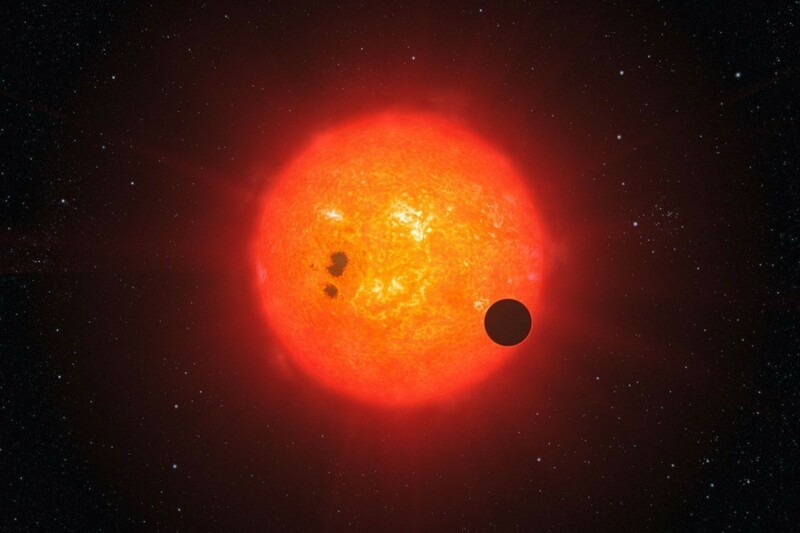 After going through the Kepler data, 5 new exoplanets were found. So this modified Titius-Bode relation seems to make a correct prediction 5% of the time (less if you add in the systems it doesn’t fit). So it’s interesting, but not particularly compelling. In a broad sense there does seem to be a geometric progression to planetary distances, but nothing as specific as the TB-relation. For now, at least, it is just spaghetti on the wall.